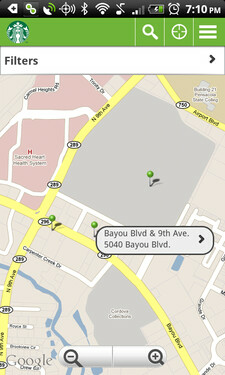 Now available in the Android Market is the long awaited Starbucks app for Android phones. 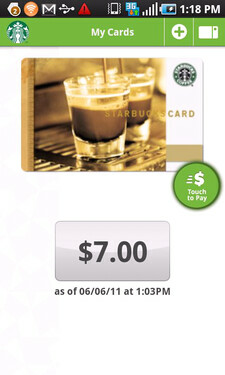 You can enter your Starbucks card number (only one allowed per phone) and track your purchasing history, check the balance on your Starbucks card or add money to it. 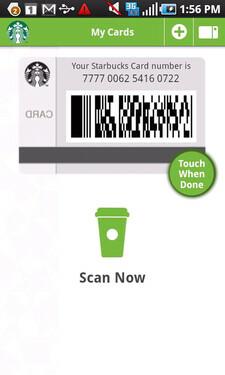 Once you enter your card number, your phone will display your card's barcode which can be scanned directly from your phone to pay for a purchase. 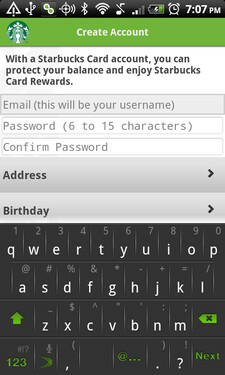 Other interesting features that would even make Juan Valdez jealous include a Google Maps powered store directory and a feature that allows you to track the number of Stars you have in the coffee seller's My Starbucks Reward Program. 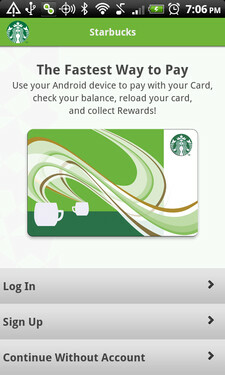 Right now, the app is free and is good only for U.S. Starbucks devotees using an Android handset with Android 2.1 or higher aboard. 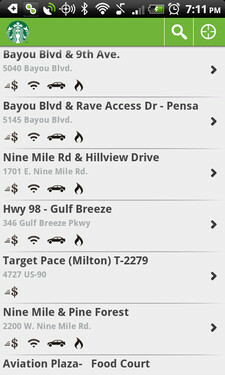 The app can be used in any of the 6,800 company-owned locations and at the 1,000 Starbucks stores inside a Target retail location. 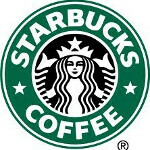 Uu got the old starbux logo up. Just nitpicking.